TODAY is a day for rolling mossy boulders that have settled in the valleys of the mind and liberating old memories. Strange things memories – we’ve been down this road before. They twist, they mutate, they tell lies. Today I’ve unearthed a new variety – the memories you didn’t think you possessed; they have faded completely from the conscious mind. But when one of those mossy boulders is rolled away, they float from the ground like pale ghosts . . .
My day begins on a windy pass to the west of Capel Curig, with rain drumming the car roof and mist down to ground level. I’m in a land called Wales and it’s a country I’m not familiar with. At least, at this point, I think I’m not. 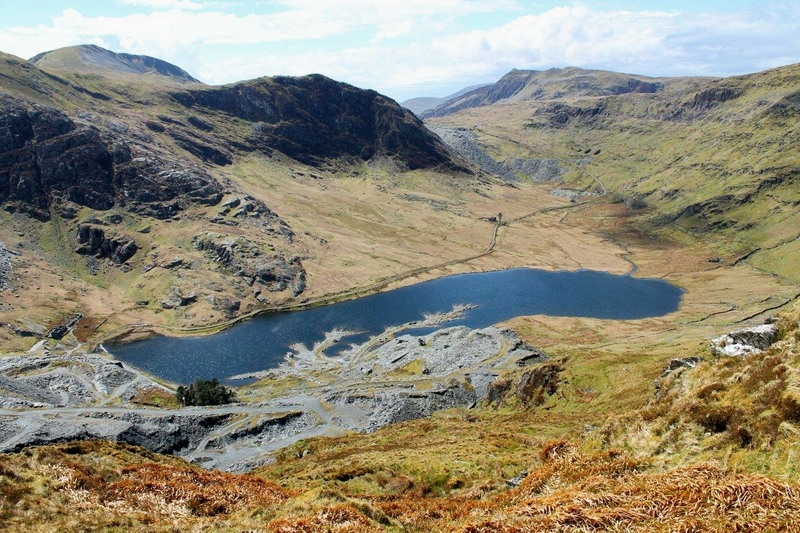 My plan to climb Carnedd Llewelyn and Carnedd Dafydd is a non-starter. I wouldn’t send a dog out into that weather. 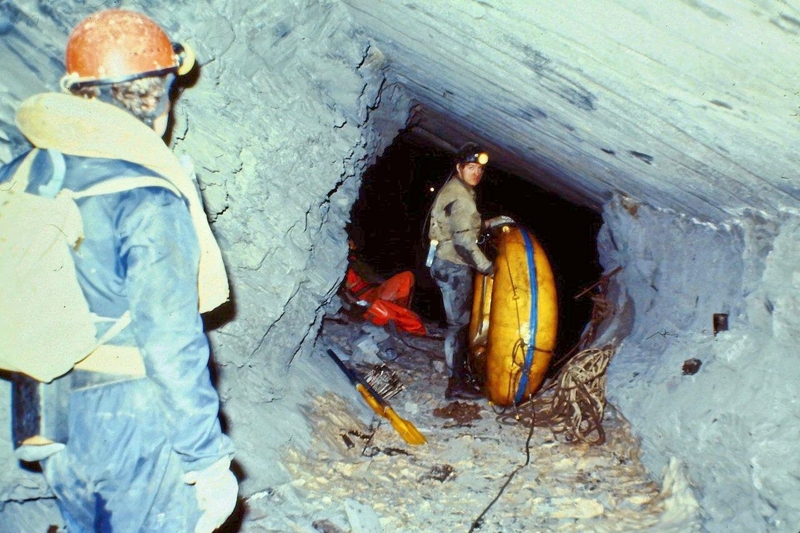 Plan B. I drive to Blaenau Ffestiniog, searching for a place where, during the early 1980s, a group of Cumbrian cavers – myself included – paddled rubber dinghies, swam, floundered and waded through a series of flooded slate mines from one side of a mountain to the other. 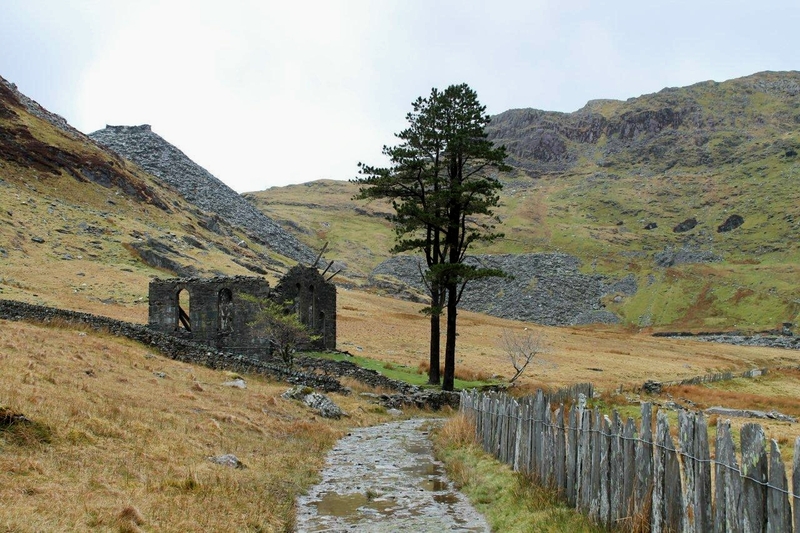 So I drive around Blaenau Ffestiniog on a wet Saturday morning and spy a signpost pointing towards Tanygrisiau – and that rolls a mossy boulder out of the way in the land of Forgetfulness. 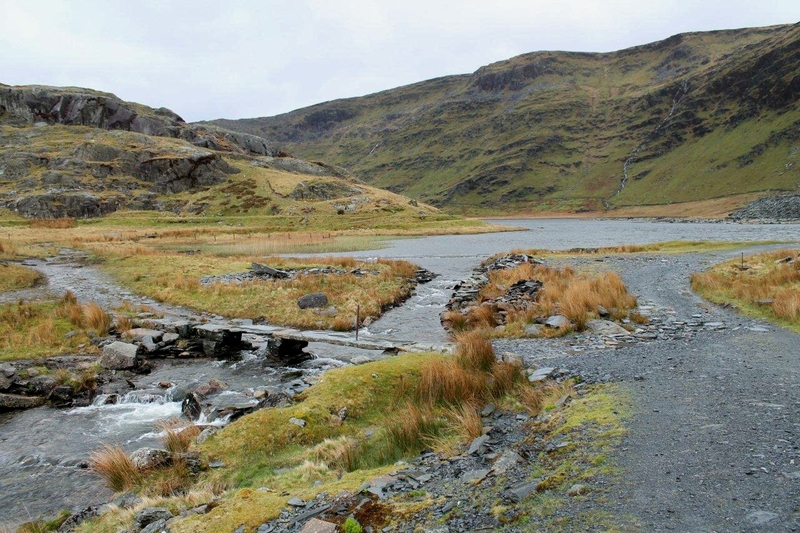 I glance at my Ordnance Survey map and discover my valley – Cwmorthin. I say it out loud: “Cwmorthin.” And the memories begin sliding from the shadows. Let me tell you about Eric Holland. 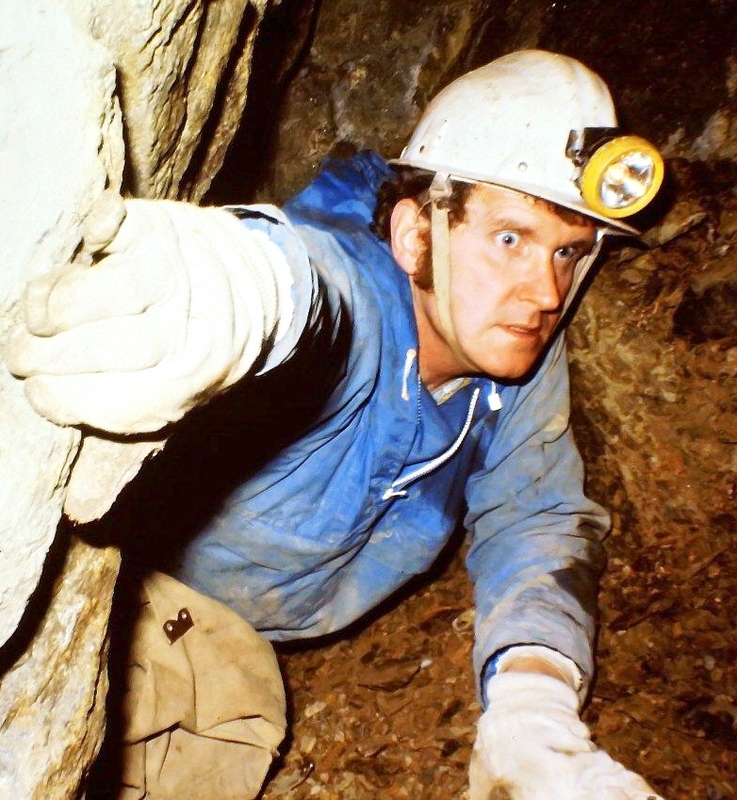 In September 1979 I turned up at my old school, Dowdales Comprehensive in Dalton-in-Furness, Cumbria, to enrol in a night-school class on mining history. The lecturer was this somewhat eccentric 46-year-old in a herdwick sweater who had left home to train as a mine surveyor at Point of Ayr colliery in Flintshire, jacked it in to enlist in the Royal Engineers, saw action in Malaya, joined a tin mining company in Malaya on leaving the army, then had a series of fantastical adventures before returning to his native Furness to publish books on potholing. Eric was a larger-than-life bloke who liked a pint and a good laugh. 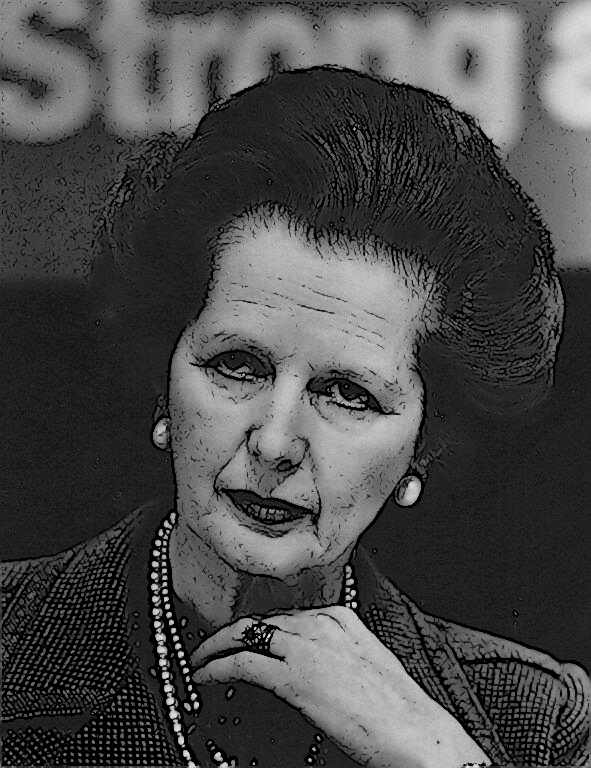 As it happened, his night-school class failed to take off because Margaret Thatcher had just come to power and raised the night-school fees from £3.50 for as many classes as you wished to sign up for, to £7 for each and every course. Not many people remember that – but I certainly do. It was the first of the grocer’s daughter’s many attacks on ordinary people and it killed off non-vocational night-school classes at a stroke. Don’t get me going, because I’ve been such a good boy since the day the old girl departed for a warmer place. To tell you the truth, I had an extremely bitter blog post ready to upload the moment she expired. But when she actually went, I decided that I inhabit a higher moral plane than any she would have ever aspired to. Grace won the day and I deleted the post. Getting back to the subject: Eric and I became friends, and before the year was out he’d gathered a group of like-minded people around him and the Cumbria Amenity Trust Mining History Society was inaugurated in the ramshackle Tudor manor house he shared with his partner and a traction engine. Fast-forward a couple of years. 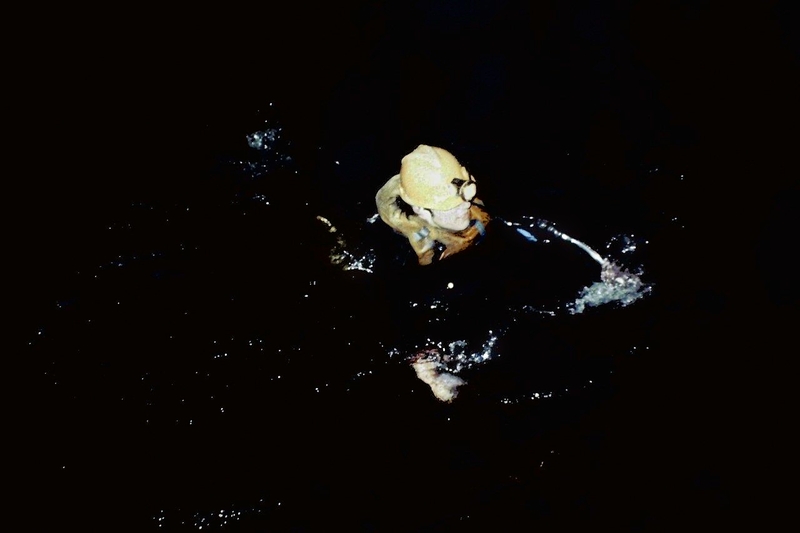 Eric devised a plan to sail or swim through a series of flooded slate mines in Wales and emerge at a different point from that of entry. 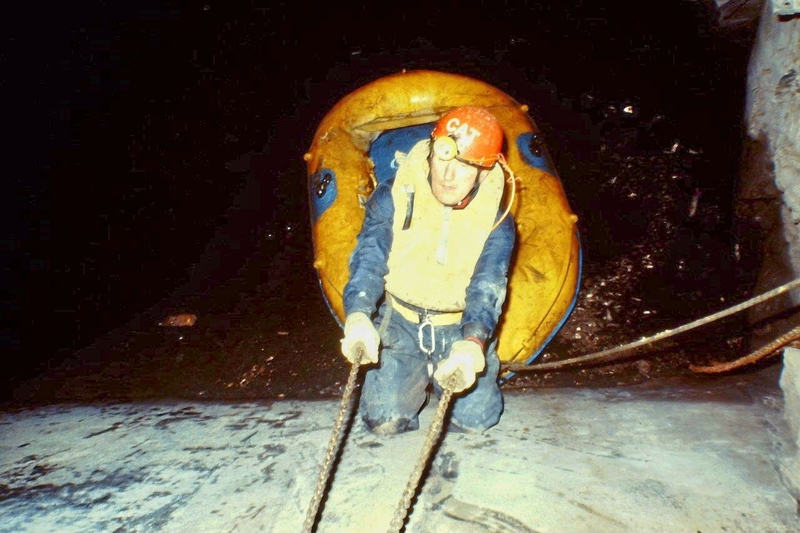 He’d been monitoring the water level slowly rising over the years and reckoned that by Easter the conditions would be perfect for crossing these hellish flooded voids and taking advantage of a tunnel system that was roughly at the level the water had reached. If this sounds a bit haphazard it’s because it was. All Eric’s schemes were of this madcap variety. Surprisingly, nearly all were successful. Quite how none of us was ever killed I’ll never know. So one sunny day during Easter 1982 we set off up Cwmorthin in our wellies and caving gear, lugging two inflatable dinghies and bags of rope past the lonesome ruins of a Methodist chapel, and on the crest of a ridge we entered a tunnel into the overwhelming darkness of a Welsh mountain, spent eight hours sloshing, swimming, gurgling, paddling and spluttering through inky black water, and emerged into a golden evening gazing down on a valley that looked completely different to the one we’d walked up. Eric had been right. Hats off. Today, Cwmorthin is cold and windy, with squalls rolling in from the west in grey curtains. I reach the ruined chapel, but it seems smaller and bleaker than I recall. 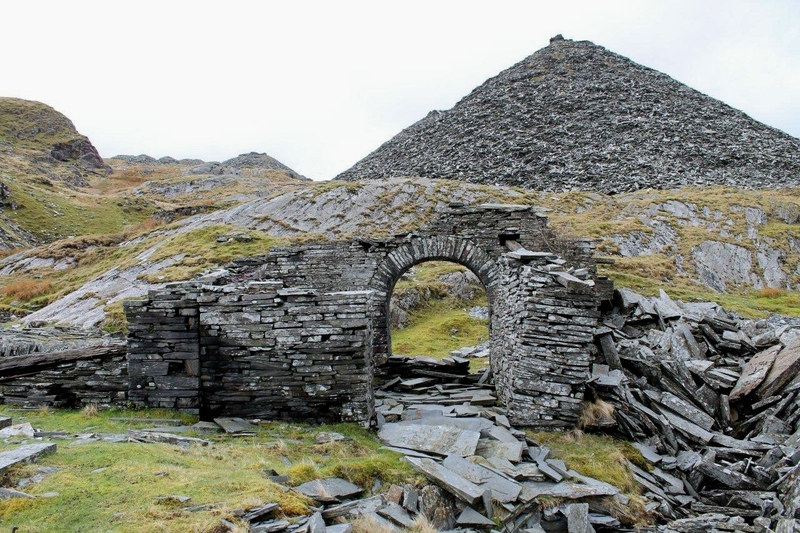 I’ve also remembered the names of the slate mines. 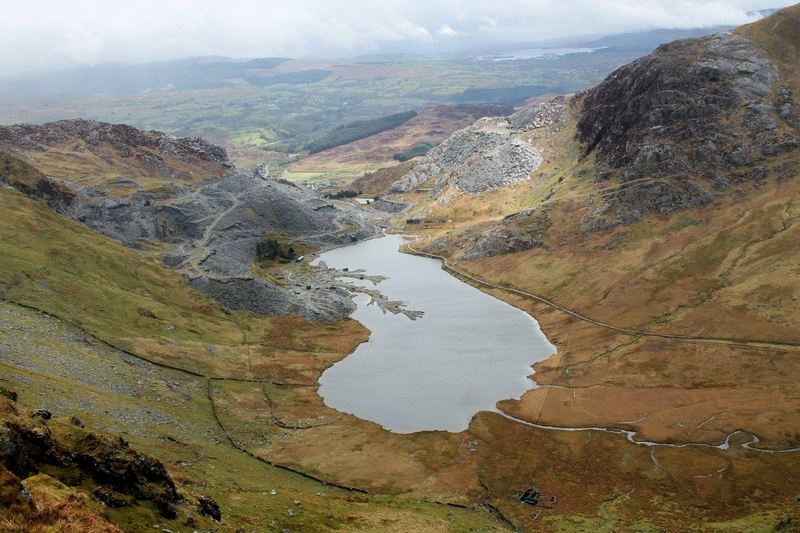 We entered Rhosydd and emerged at Croesor. Quite unexpectedly, this impromptu walk has become a journey of rediscovery. 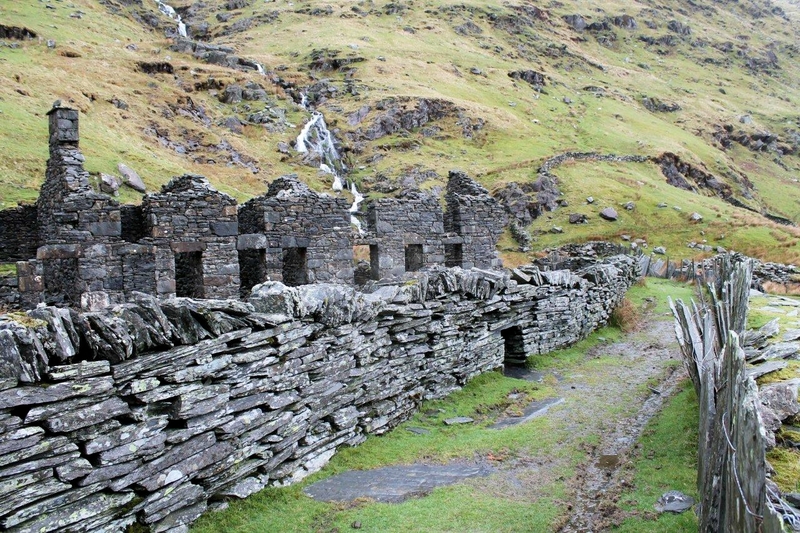 There are ruined quarrymen’s cottages in Cwmorthin, as there are in many of these valleys. 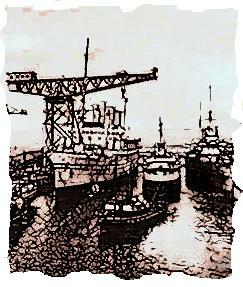 They are tiny and crude – and I have no doubt that each of these miniscule and insanitary hovels housed large families. Some probably housed more than one family. The ruins look ancient. But there are people alive today who were brought up in places like these. 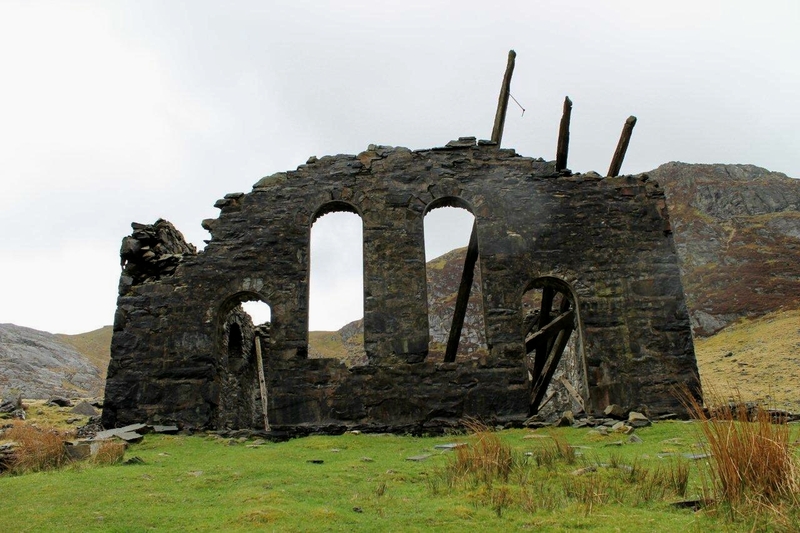 My mood is darkening as I climb the fellside to the ruins of Rhosydd mine. Thirty years ago I saw this place as a land of sunshine and adventure. Today I am moved by the poverty and harsh conditions in which people were forced to live. As it happens, I’ve just started to read a book by Hassan Mahamdallie on William Morris, and there’s a quotation right at the start in which Morris sums up the root of poverty in one word: profit. It is profit . . . which condemns all but the rich to live in houses idiotically cramped and confined at the best, and at the worst in houses for whose wretchedness there is no name. The people who lived here possessed skills. They wrested stone from the earth; they rived it into roofing slates; they built waterwheel pits, reservoirs, dams, pipelines, launders, houses, barracks, roads, saw sheds, tramlines and inclines – and their reward was more work and unforgiving poverty. 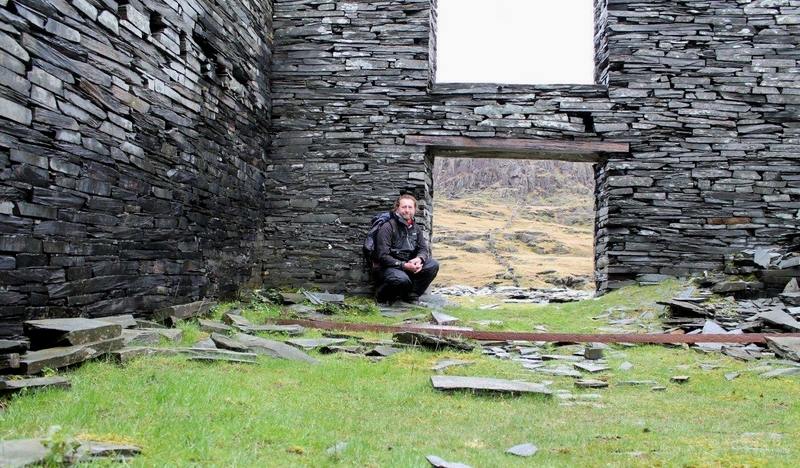 Up at Rhosydd, in a post-industrial landscape of ruined barracks, tumbled waterwheel pits and rusty iron, I eat my lunch and shelter from the rain. The men who toiled up here produced the materials to roof London and most of the nation’s conurbations. Now their world is being worn down by the elements and reclaimed by nature, like an Inca city in a faraway jungle. Soon these places will have been forgotten except by malcontents who spend their time writing blogs on the subject. And now it’s time to reintroduce an almost forgotten concept to this website – fell walking. Geared up, I head out into the rain and complete what is almost, but not quite, a horseshoe of the fells surrounding Cwmorthin, skirting the upper reaches of the massive Oakeley quarries before descending in sunshine to the waters of Llyn Cwmorthin. It’s an invigorating walk. And I notice, glancing west, that the big lumpy mountains of the Snowdon range, the Glyders and Carneddau, are still lost in great banks of swirling black cloud. So Plan B was one decision that turned out for the best. Croeso i Gymru, as it says on the road signs – welcome to Wales. There’s more of this to come. Supplementing the dodgy memories from the underground trip is a set of slides taken in 1980 and 1982 on my faithful Zenit E . . . or was it my Praktica LTL3? I can’t remember. I’ve reproduced them here simply because they will never be reproduced elsewhere. 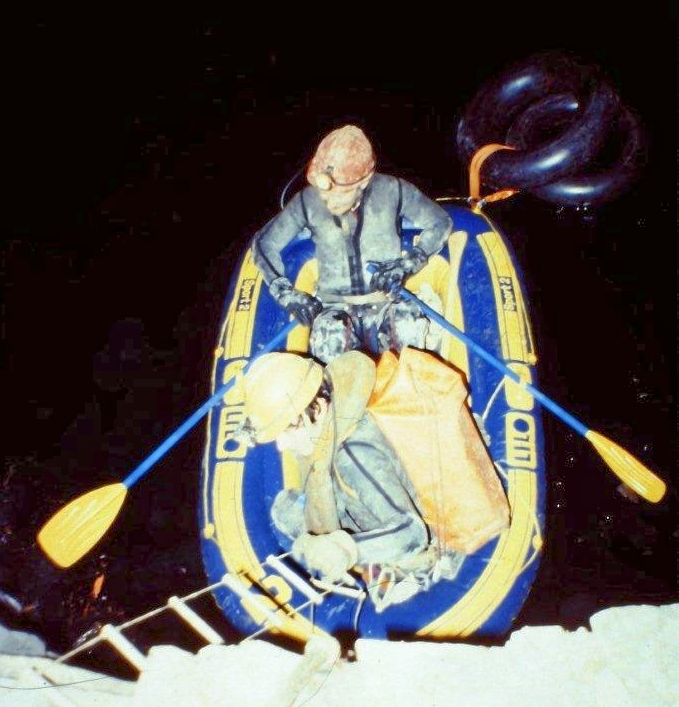 THE first couple of pictures were taken during Easter 1980 on a preliminary expedition. 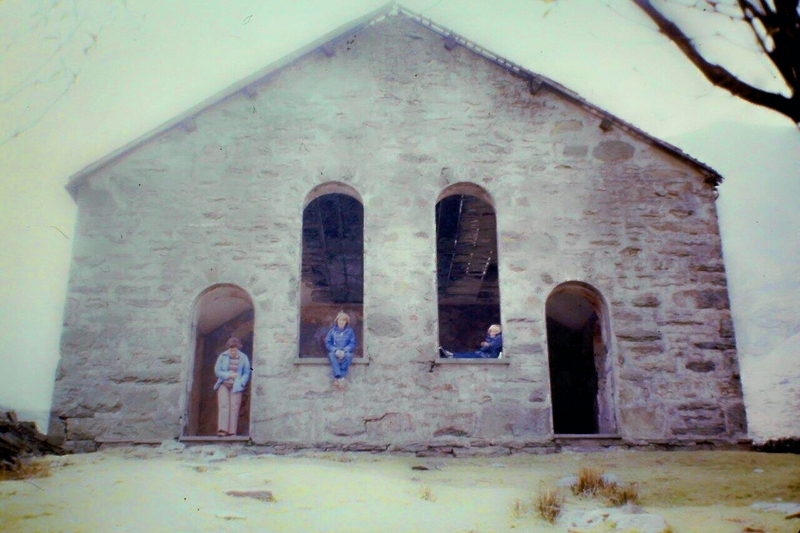 The chapel was in much better condition in those days – with a roof and walls that were not tumbling down. It’s surprising what 33 years of weather and wear can do to a ruin. 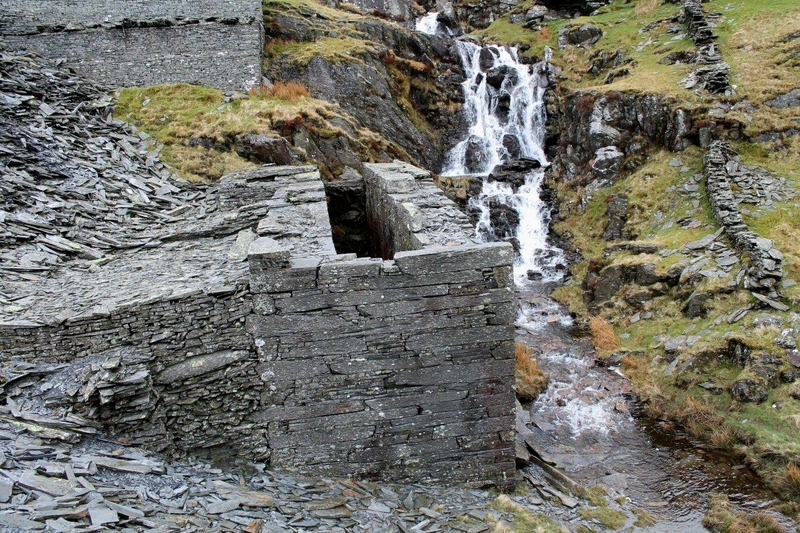 I like the picture of the waterwheel pits at Rhosydd because the people put the structures into perspective. The wheels must have been impressive when they were in position and turning. This is the team that sailed and spluttered through the workings during Easter 1982. From the left, Christopher D Jones, Colin Horne (crouching), Dave Blundell, Mark Wickenden, Max Dobie and Eric Holland. 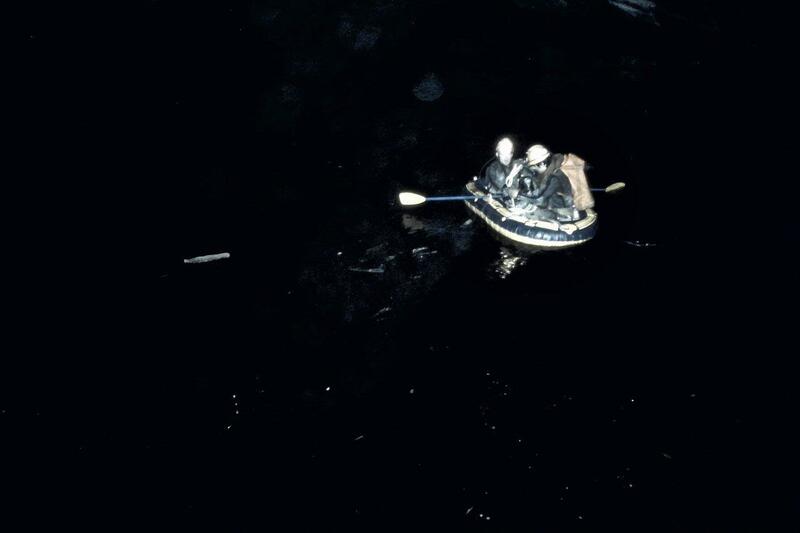 Colin carrying one of the dinghies into Rhosydd. Descending an underground inclined tramway to the water. 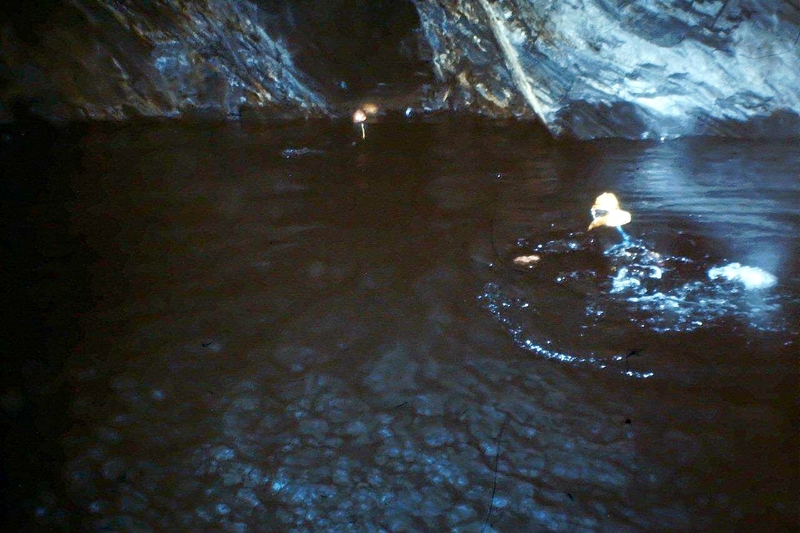 The bottom levels of the mine were deep beneath the surface of the water, the top levels way above our heads. According to memory, our route was through a series of tunnels and chambers somewhere in the middle. But you know what my memory is like . . . It was your idea, Eric, so you go first . . . 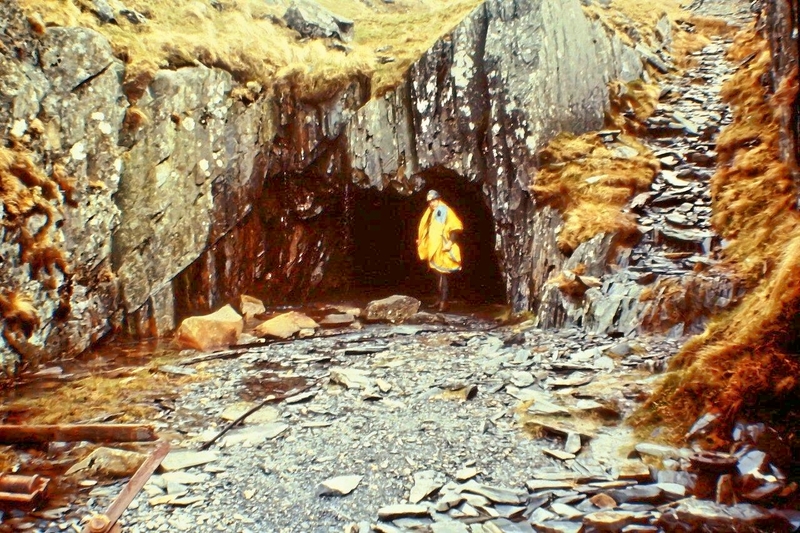 This entry was posted in Archaeology, Caving, Climbing, Environment, Geology, Hiking, History, Industrial archaeology, Mountains, Politics, Potholing, Quarrying, Ranting, Slate quarries, Walking, William Morris and tagged Mining History, outdoors, Snowdonia, Wales, WPLongform. Bookmark the permalink. It is a riveting and highly entertaining story you are telling. I would have loved to try out Eric Holland’s experiment. Highly inspiring story, thanks for that Alen. Hej Hanna. They were great days and we had a fantastic time. Strange thing is, I went to Wales searching for new experiences in the mountains and ended up reliving some old ones instead. I don’t know whether that’s a good thing or not. Glad you liked it. I used to live in North Wales so this brought back some memories. That first photograph is really stunning. Hi David. Wales is a beautiful country and I can’t understand why I haven’t done more walking there over the years. It must be a great place to live. I am inclined to agree with your final statement as well. There was also an element of naivety and the fact that most underground trips were planned in a pub after several pints of beer. That looks terrifying Alen. How did you know the way? Surprised you got the photos from the Zenit E as mine always chewed the film up at a crucial moment. Hi Greg. We didn’t know the way, we were all following Eric Holland who said he knew the way – but I think he was making it up as he went along and just got lucky. I had no trouble with my Zenit E. In fact, I dug it out yesterday in light of this and it looks okay. Wanna buy it? No I’ve still got mine somewhere. Saved up for years and eventually progressed to a Pentax. Ah, Mrs Potter. Thank you for your kind words. If I could say something suitable in Welsh then I would. Very good. I had to Google that! It would have been a great adventure that – the sort of thing that would be scary if there was just one or two of you but great in a group! 🙂 Didn’t you worry though that some of the levels would have a huge 1000 foot drop somewhere unexpected along it like they do in the Coniston area of Cumbria? Or did he have quite a bit of knowledge of these levels? 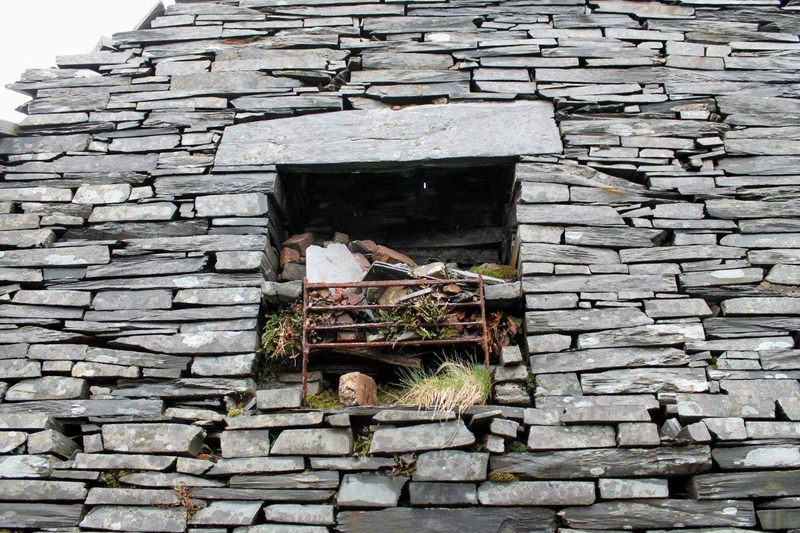 I remember that area well – I did the Moelwynnau from Tanygrisiau and, on the way back down, I think it would have probably been Cwmorthin area – I certainly recognise the buildings anyway, I had a little fight with a thistle and it won! I’d been happily slicing the tops off all the thistles with a sharp slate and this one refused to snap off and bounced back and hit me in the eye. My trusty walking buddy Richard had to spend the next 10 minutes picking spikes out of my eyeball – I had a beautiful purple eye at work the next week! Hi Carol. 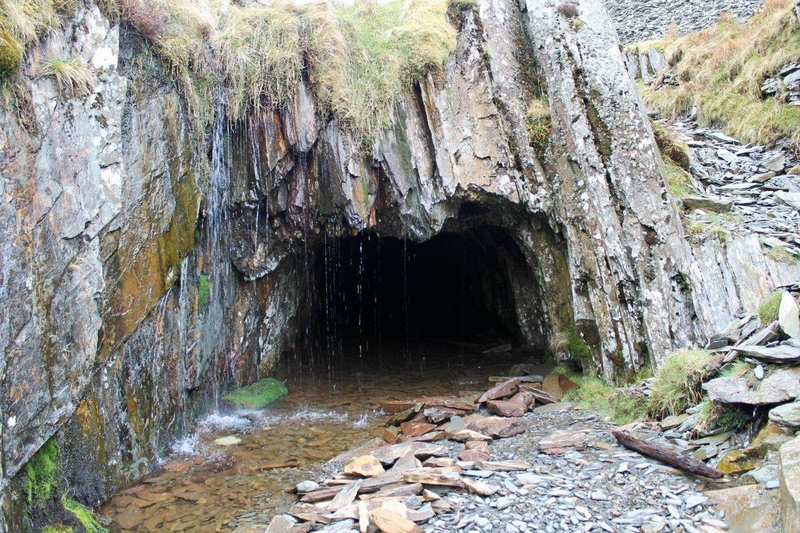 There might well be 1,000ft drops in those mines like there are at Coniston but we didn’t come across any. 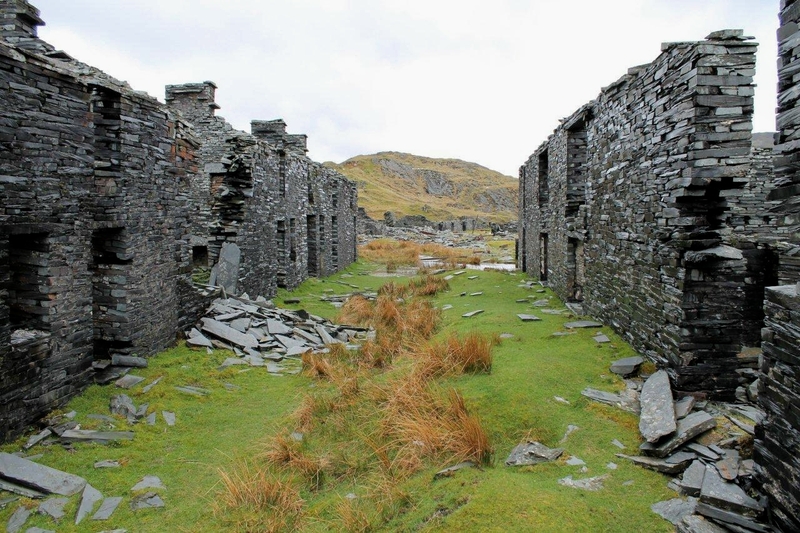 Incidentally, the original guidebook to the Coniston Coppermines was written by Eric Holland, the chap mentioned above. We got into quite a few scrapes in Red Dell and beneath Levers Water over the years. I haven’t blogged about the Coniston fells because living in the North-East it’s a bit of a drive to get down there and I’d feel obliged to call in on family. I should make an effort I suppose. There are people out there, and I suspect Prince Charles might be one of them, who would reckon you got your comeuppance when the thistle fought back and poked you in the eye. Is this evidence of the plant world fighting back? Hi Alen, you must all have been totally mad!! As you say, it is a miracle you all survived. 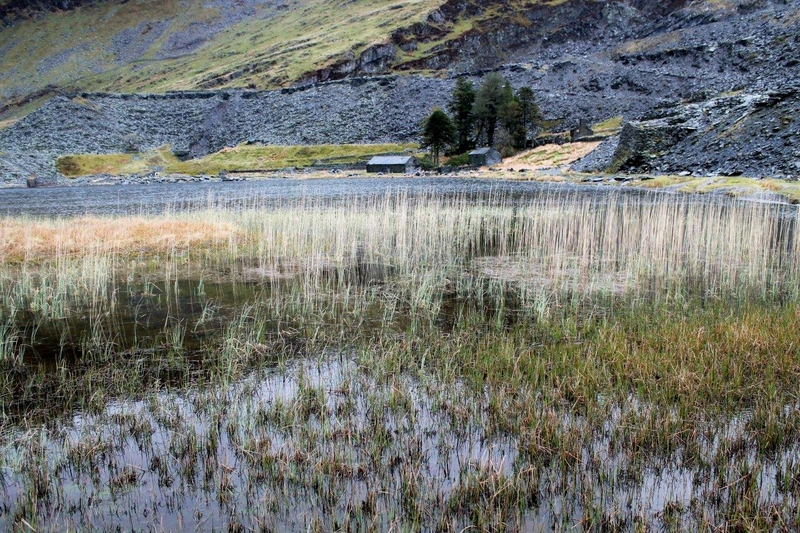 We used to live only 10 miles or so from Blaenau Ffestiniog – there was a disused slate mine at the head of our valley (Penmachno) and people used to talk about exploring the flooded mines. A beautiful area, but I preferred it on the surface rather than below ground! A lovely story, well written as always, and great photos – fascinating to see the changes. Well, well – it’s a small world, Jo. 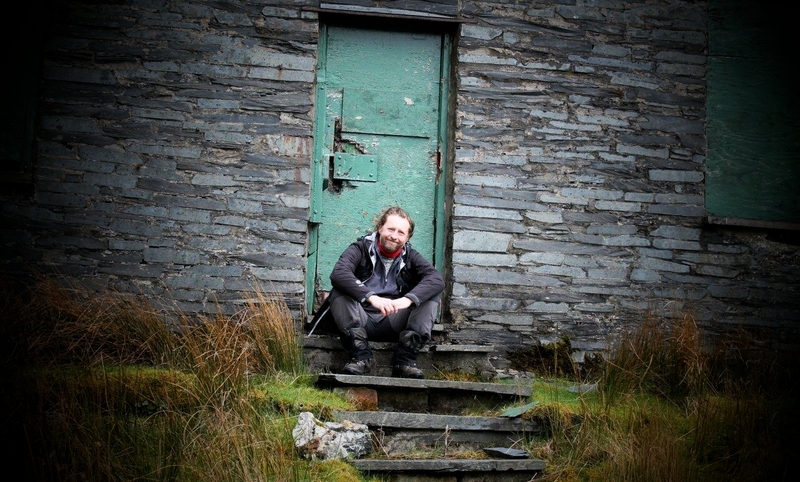 My next adventure begins in Cwm Penmachno at Glanaber Terrace. I’m busy writing it up now. I’ve been there a couple of times over the years. It’s a wonderful valley and it crossed my mind it would be a great place to live. I even noted that there were one or two pubs open. Mind you, it was bucketing it down while I was there, and my car was covered in hailstones when I returned from my walk. Glad you enjoyed this installment. Like others responding here, this post brought back memories for me too. A lovely tale with some atmospheric shots. Hi Northernwalker. Thanks very much for that. Glad I stirred some memories other than my own. I think that your appreciation of the misery of the slate workers is excellent. Imagine having to work 50 hours a week there, walk 20 miles home on a Saturday afternoon, dig the vegetable patch and then go to chapel on Sunday only to get up at 03.00am on a Monday morning and walk back to work again. Hi Michael. Hard times indeed. The monuments and caverns remain as testament to those men and the price they paid. I have a copy of The North Wales Quarrymen 1874-1922, by R Merfyn Jones, which I bought many years ago, and I once had my local library track down an original copy of M Richard’s Slate Quarrying and How to Make it Profitable, 1876. 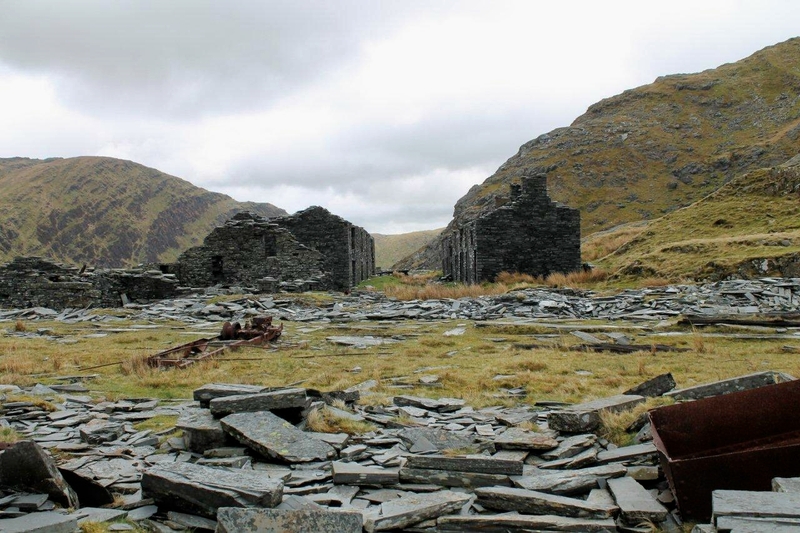 I shall look out for FJ North’s The Slates of Wales. It sounds like a book I should read. 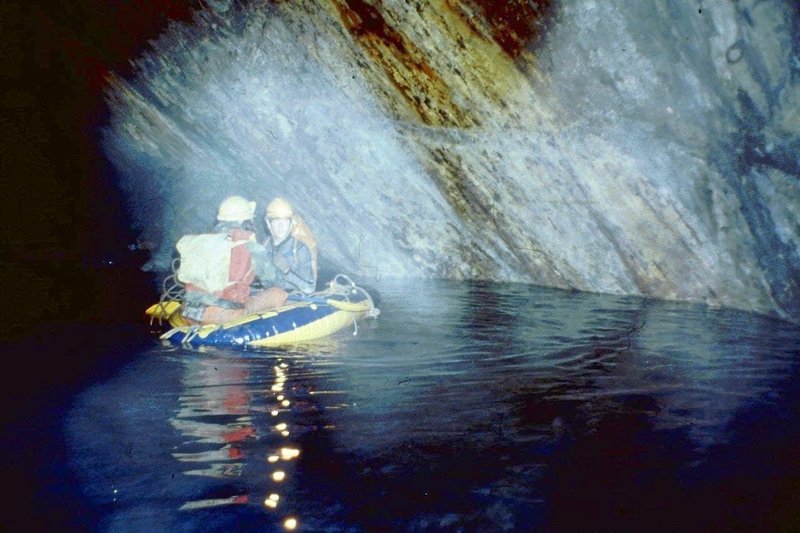 When I was an outdoor pursuits instructor back in the late 70’s we would take groups of children into the adit and then up the internal incline and back out onto the mountain. There was a massive cast iron counterweight about as big as a grand piano at the top of the incline that ran under the trucks called a Mochin (pig). It always concerned me that the mochin was at the top of the incline and jammed on a cable. NO it isn’t! 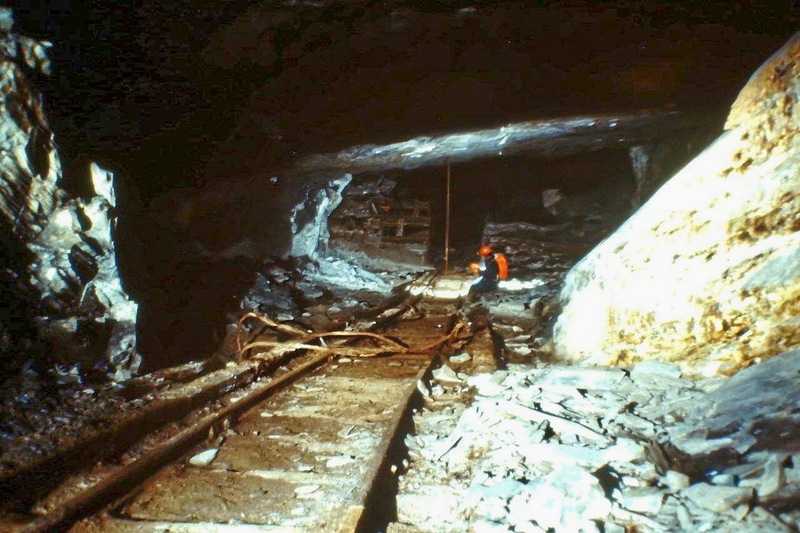 the old number nine incline collapsed years ago – you have to bypass it! The Crtt is a sphincter twicher of a trip, nowt like adrenalin to keep you on your toes! Linky below is me on the “Bridge of Death!” from a few years ago. I’ve only just discovered your blog – so hello! 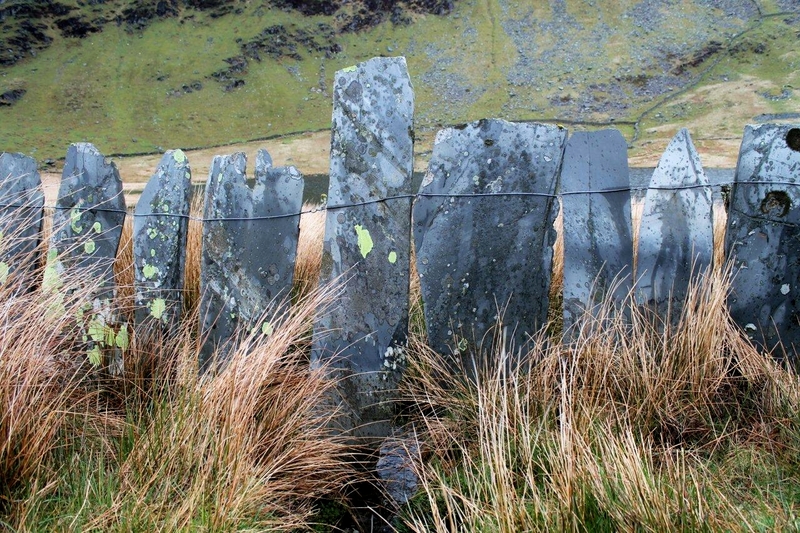 – but went a (very short) way up Cwmorthin recently, so was fascinated to read this piece. And amazed to compare the photos from the 80s with last year’s. A great blog, about so much more than mountains. I look forward to reading more. Hello there Slipperywitch. Glad to make your acquaintance. 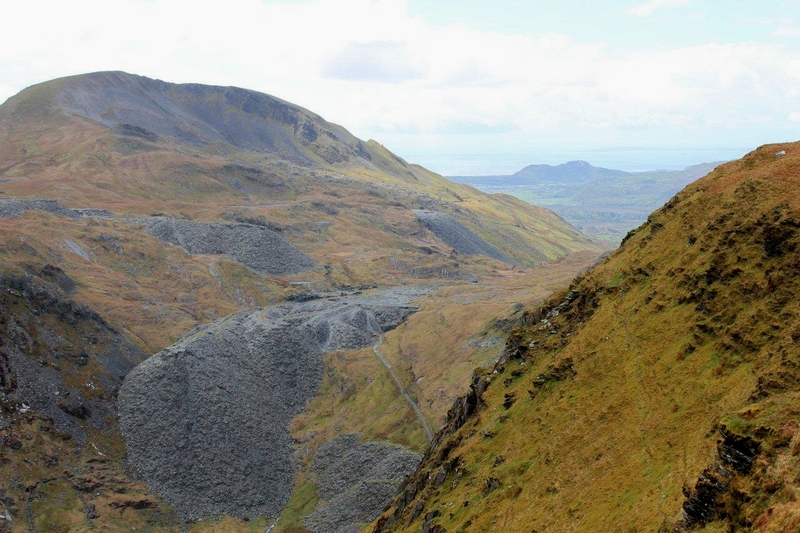 Yes, Cwmorthin – it’s amazing how things can change in such a short space of time. Thanks for the comment. 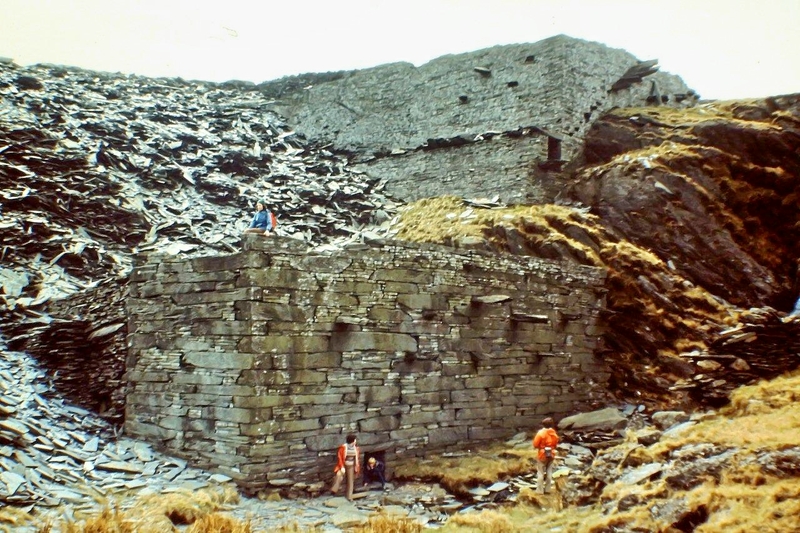 A truly fascinating blog about Cwmorthin past and present. Hiya Andy. Blimey, I wish I was on a hilltop in Cyprus. It would make a pleasant change from the eternal rain, gloom and mud over here. Hi Caroline. Thanks for leaving your comment. 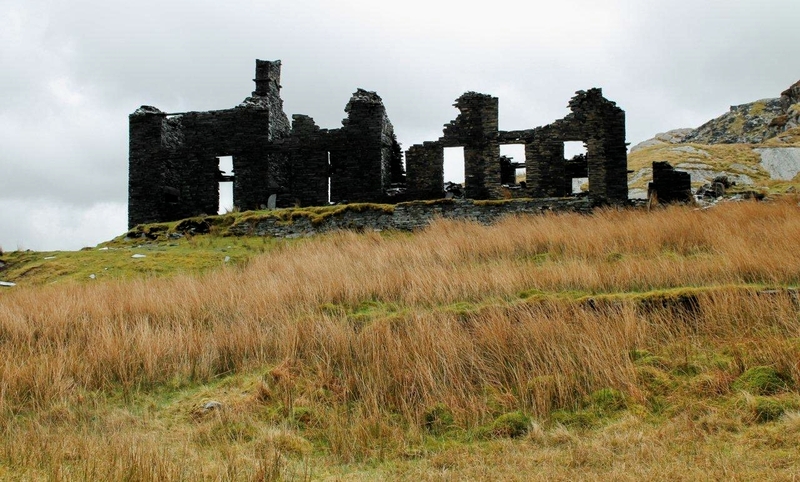 Cwmorthin and its surrounding landscape is a wonderful place and one that’s full of history. There is so much to see and so much wonderful atmosphere to drink in. I hope you have a memorable visit. 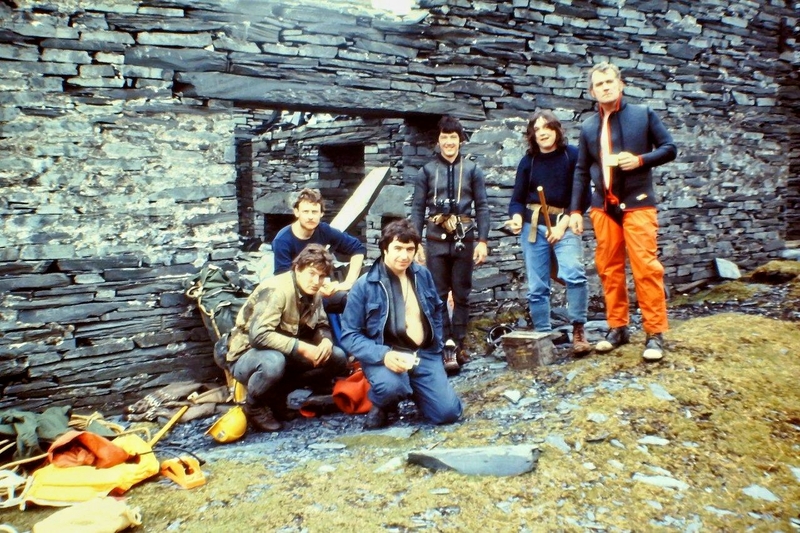 Loved your story.this route is still.being done today.death slides and dingies are left there for the through trip.guess we can all thank eric and his team.check out our vids on youtube “crtt croesor rhosydd through trip”. 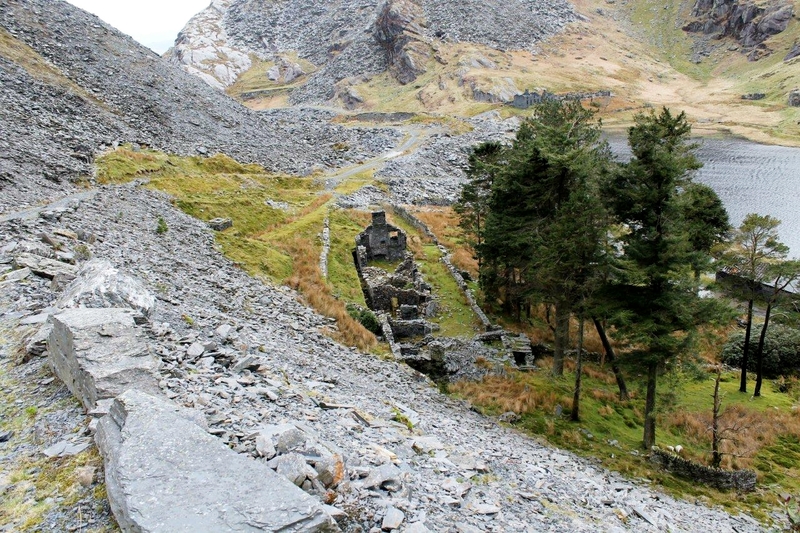 Cwmorthin quarry is also worth checking out. Hiya Mel. Thanks for that. It’s an impressive place. I shall now take a look at those videos. Hi Carolyn. Yes, it’s a really beautiful corner of Wales, but it must have been a harsh place in which to live and work. Thanks for that lovely comment, Carolyn. 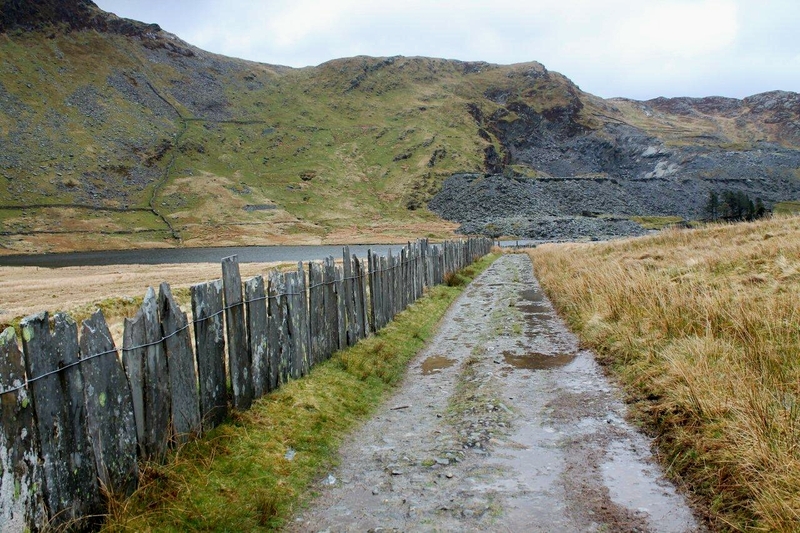 Thank you for such beautiful photos showing the terraces at Cwmorthin and the surroundings. I have just discovered an ancestor of mine lived there in 1891 (Census return) and it is wonderful to see the location. Hi Sue. Thanks for that information. It adds a human dimension to the whole thing, to know that someone has real connections with the place and had an ancestor who lived there. That’s like finding a thread that leads into the past.